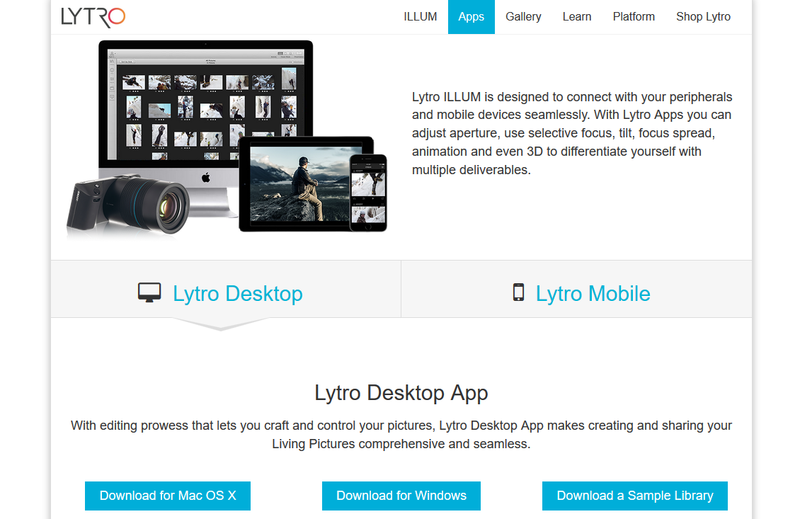 Lytro ILLUM is designed to connect with your peripherals and mobile devices seamlessly. 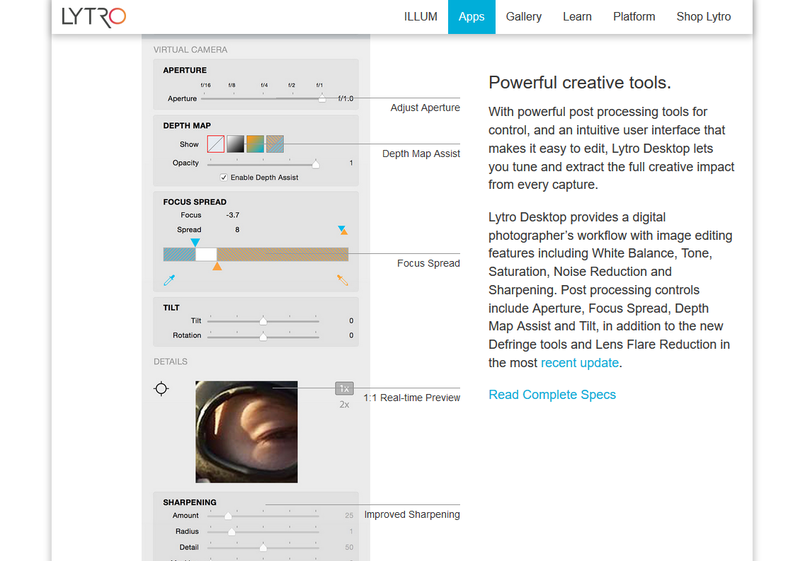 With Lytro Apps you can adjust aperture, use selective focus, tilt, focus spread, animation and even 3D to differentiate yourself with multiple deliverables. 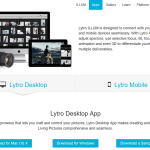 With editing prowess that lets you craft and control your pictures, Lytro Desktop App makes creating and sharing your Living Pictures comprehensive and seamless. 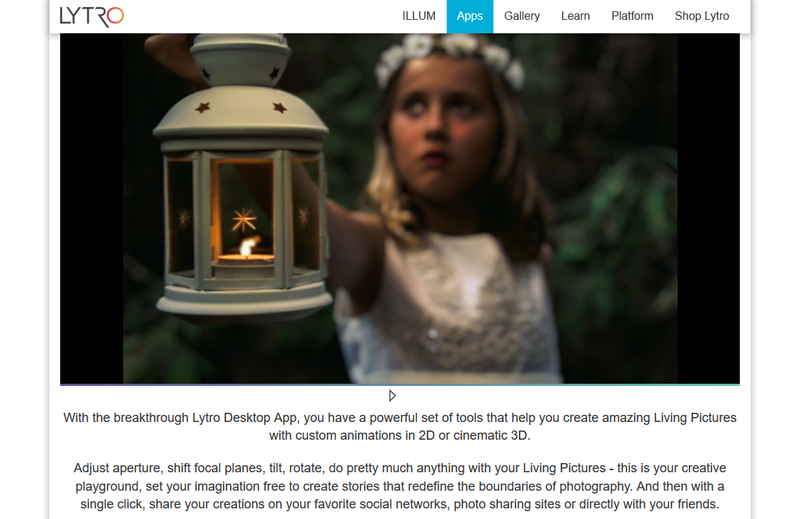 With the breakthrough Lytro Desktop App, you have a powerful set of tools that help you create amazing Living Pictures with custom animations in 2D or cinematic 3D. 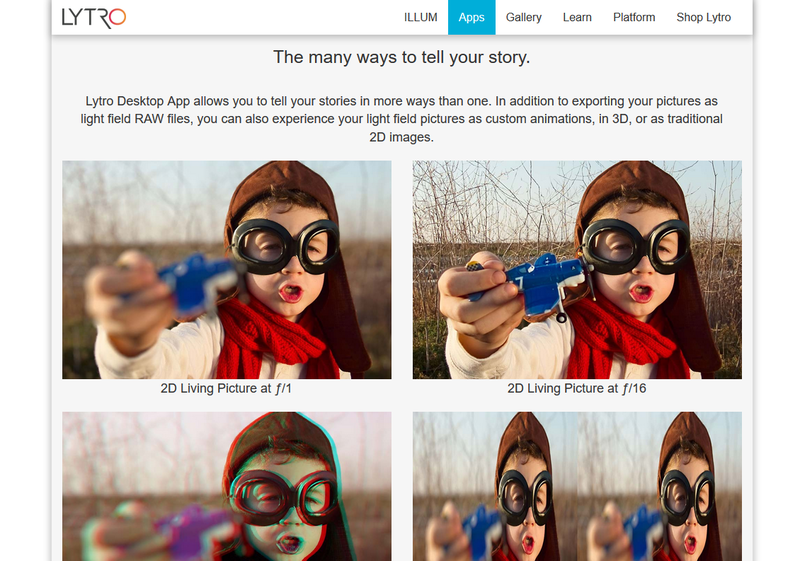 Adjust aperture, shift focal planes, tilt, rotate, do pretty much anything with your Living Pictures – this is your creative playground, set your imagination free to create stories that redefine the boundaries of photography. 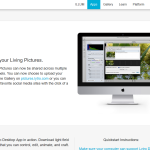 And then with a single click, share your creations on your favorite social networks, photo sharing sites or directly with your friends. 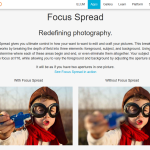 Focus Spread gives you ultimate control in how your want to want to edit and craft your pictures. 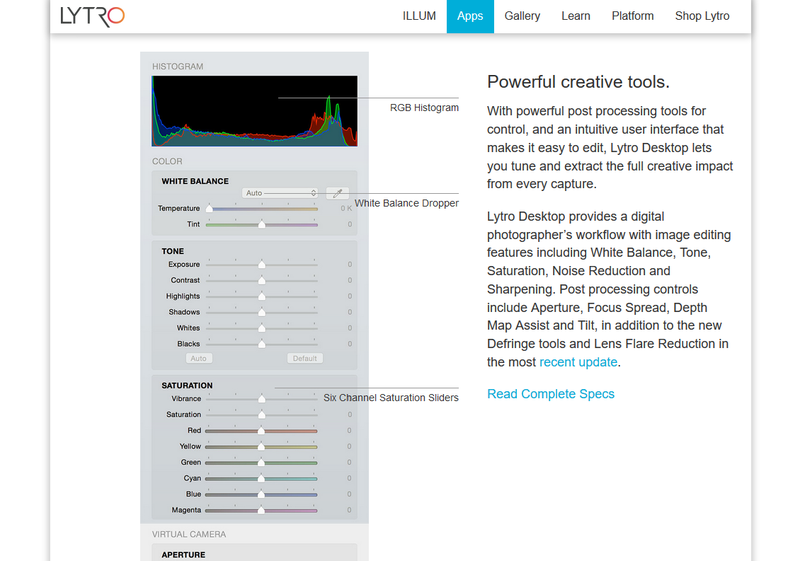 This breakthrough feature works by breaking the depth of field into three elements: foreground, subject, and background. 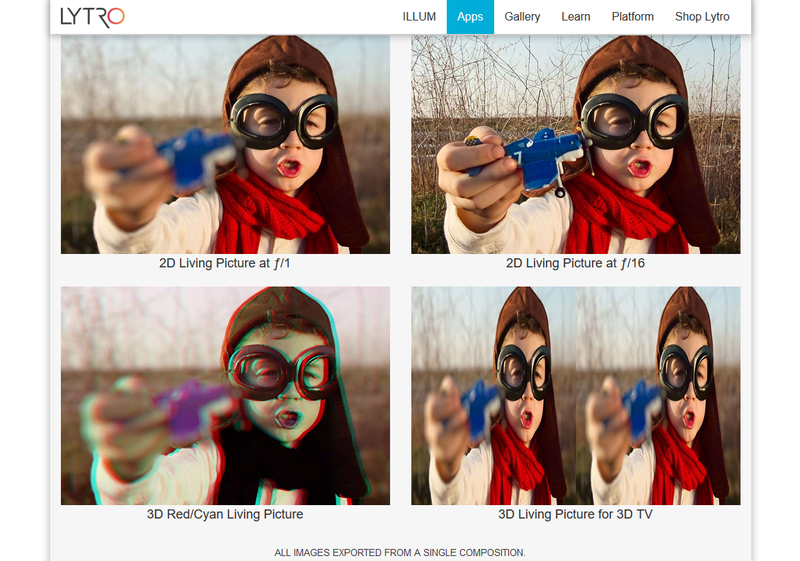 Using a slider, you can determine where each of these areas begin and end, or even eliminate them altogether. 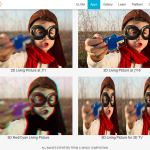 Your subject will always be in focus at f/16, while allowing you to vary the foreground and background by adjusting the aperture slider. 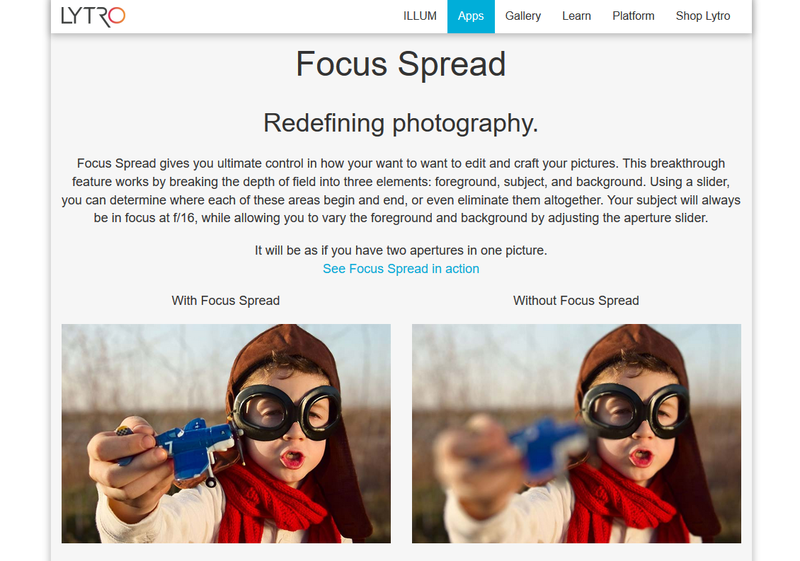 It will be as if you have two apertures in one picture. 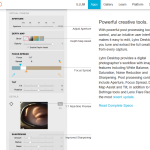 With powerful post processing tools for control, and an intuitive user interface that makes it easy to edit, Lytro Desktop lets you tune and extract the full creative impact from every capture. 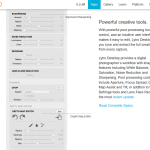 Lytro Desktop provides a digital photographer’s workflow with image editing features including White Balance, Tone, Saturation, Noise Reduction and Sharpening. 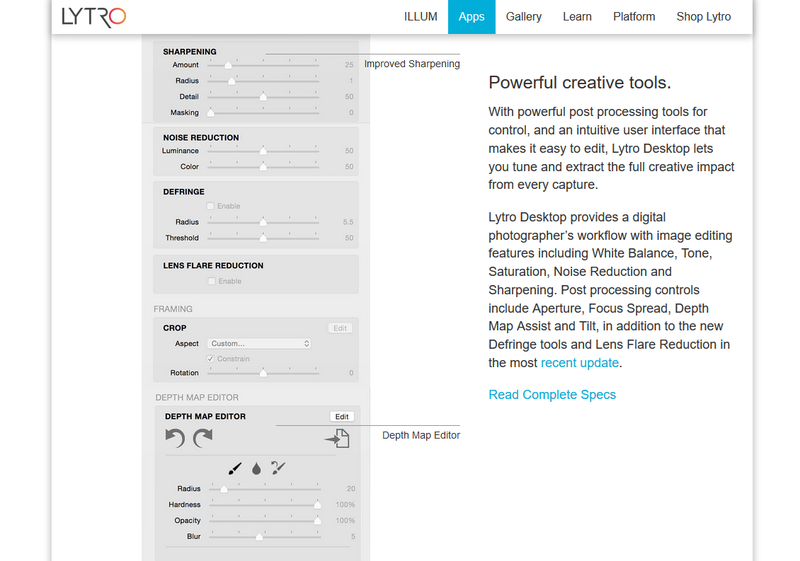 Post processing controls include Aperture, Focus Spread, Depth Map Assist and Tilt, in addition to the new Defringe tools and Lens Flare Reduction in the most recent update. 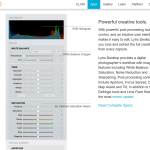 Lytro Desktop App allows you to tell your stories in more ways than one. 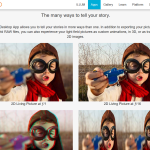 In addition to exporting your pictures as light field RAW files, you can also experience your light field pictures as custom animations, in 3D, or as traditional 2D images. 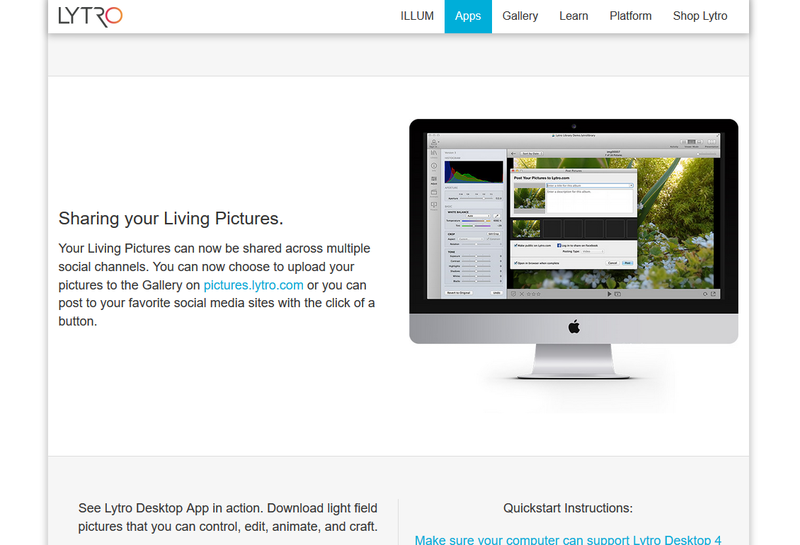 Your Living Pictures can now be shared across multiple social channels. 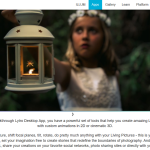 You can now choose to upload your pictures to the Gallery on pictures.lytro.com or you can post to your favorite social media sites with the click of a button.